This all-around, three-in-one jacket ushers in a new revolution of layerable warmth executed in the state-of-the-art insulation of the inner liner. This inner layer utilizes a 3M™ Thinsulate™ Featherless insulation, a synthetic loose-fiber fill that has the same thermal performance as natural 700-power-fill down, yet is water-resistant to maintain warmth in damp weather. 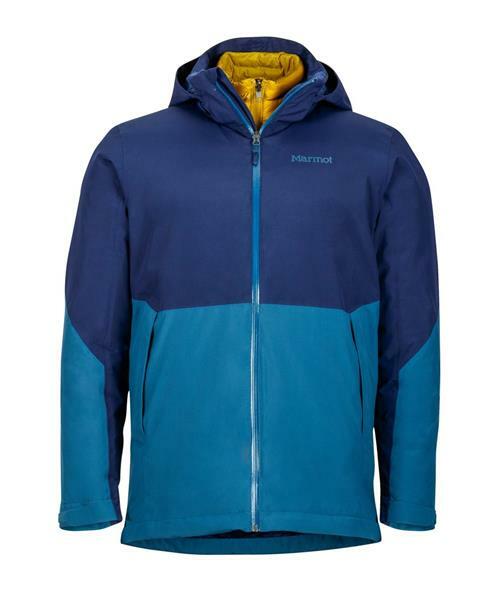 Wear the insulating layer on its own or zip into the outer Marmot MemBrain? waterproof and breathable shell to create a powerhouse of protection, warmth and comfort on the trails, in the forest or around town.